feel good, happy & healthy. 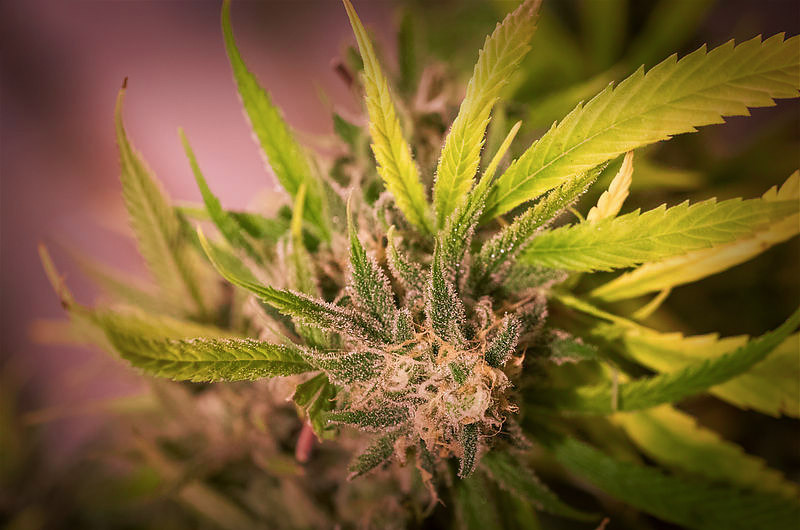 Enjoy our amazing selection of flowers, concentrates, edibles, topicals and related merchandise. We feature high-quality products from the best farmers and vendors in Oregon. We offer high CBD/THC products to best suit your needs. Discounts for veterans & OMMP card Holders. We are professional, discreet, and knowledgable. Now offering our amazing flower selection and CBD only products to anyone over 21 with valid ID! Our menu is so epic, we had to put it on Leafly. NW Portland on the corner of Marshall st. and NW 18th, in the Nob Hill District. We’re located near Legacy Good Samaritan Hospital. 1 block from the Portland Street car NS line @ NW 18th and Northrup. Also the NW 18th and Lovejoy stops. 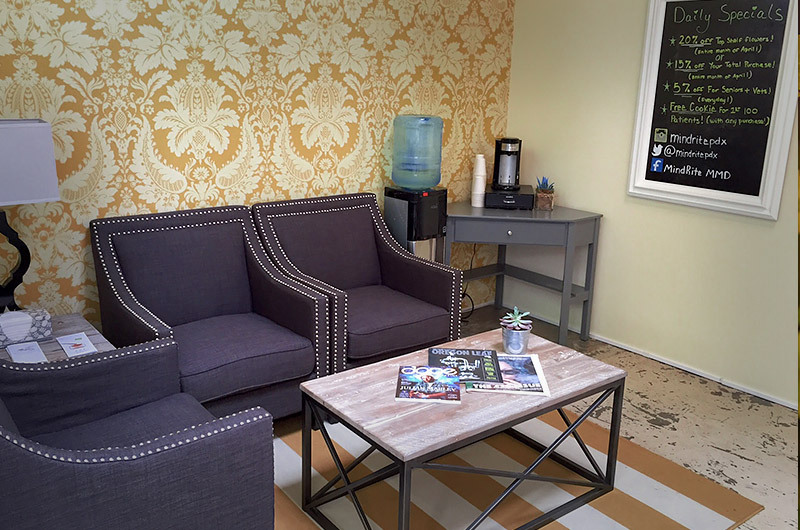 Our store is handicap-accessible for all of our disabled friends. I am a proud father, husband, and cannabis supporter. Cannabis helps me with anxiety, stress, and migraines. I truly believe in the medicinal benefits cannabis offers, and I can think of no better way to express my love then to share it with our OMMP and recreational community. I have loved Portland and the North West since before I moved in 2010. 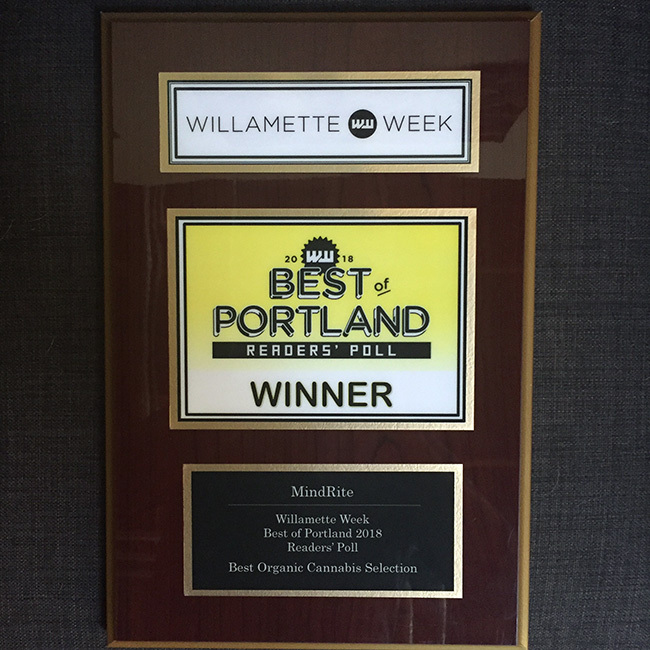 Portland embraces small businesses and our community has been very supportive. I love the feeling I get helping people and making a difference with their quality of life. I am constantly expanding my knowledge of cannabis, and sharing that knowledge is very fulfilling. In my spare time, I enjoy being outdoors taking photos, snowboarding, and being a father. I would love the chance to help you! I am so proud and excited to be a cannabis business owner in Oregon. I am a Michigan State University graduate with a professional background in social work and the hospitality industry. I have dreamed of returning to a field that truly helps and services my community, and I truly believe that the cannabis industry has the ability to change people's lives drastically. I have been helped by cannabis in so many ways throughout my life. I suffered a grand mal seizure disorder in my 20's, coupled with anxiety and sleep problems that no doctors or specialist could properly diagnose or treat. I discovered that cannabis was the most effective treatment for me — I am elated to now educate and facilitate Portland's community through our safe, integrity-driven and patient-oriented dispensary. I was brought onto the MindRite team in late 2015. I enjoy longboarding, cannabis and shaking my groove thing. My goal is to provide every person who comes into the shop a fun and enlightening experience. I do my best to make sure you leave with a smile and products you will enjoy. Working in the cannabis industry is a dream come true; I’ve recently graduated from Portland State University and I’ve always aspired to work in an industry that is not only sustainable but also supports the wellbeing of others, and I have found that here at MindRite! 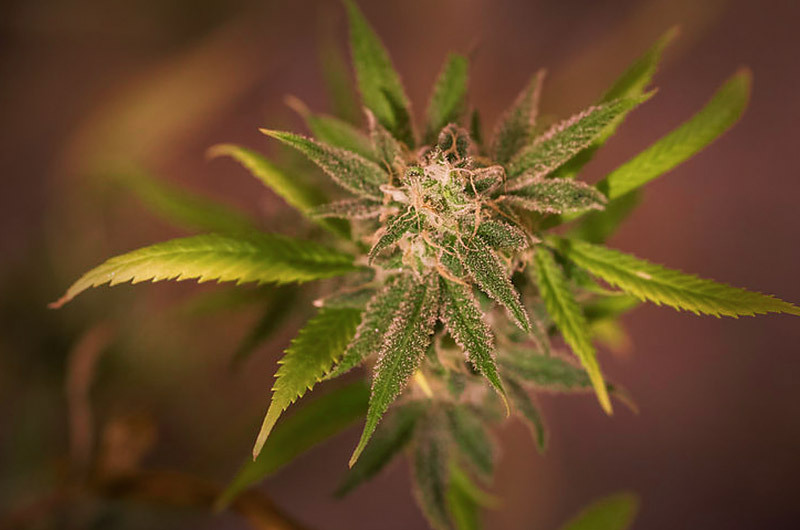 I am very passionate about the healing and restorative aspects of cannabis, from flower to topical, it’s a joy to help others find exactly what they need to benefit their lives. I also enjoy spending time outside, creating art, traveling, and seeing live music. I can’t wait to meet you! Being apart of the cannabis industry is something I have dreamt about. I’m so excited everyday that I am able to turn my dream into a reality with the MindRite team! I love incorporating cannabis in my yoga and running routines. I learn something new everyday! My goal as a budtender is to share my growing knowledge with our customers and for each person is to have a comfortable cannabis experience. It has always been a dream of mine to work in the fast, expanding cannabis industry, and it came true here in Portland! I am very passionate about helping others find the right strains and products to improve their quality of life, while making them feel comfortable and welcome at the same time. It is amazing to work in an industry that is supportive because all have an ultimate goal at hand: to help people. After experiencing the healing benefits of cannabis first-hand after major surgery last year, I’ve wanted to dive into this expansive, fascinating, and care-based industry ever since! It’s an absolute dream to join the MindRite team as I continue my own education and knowledge focusing on the medicinal aspects of cannabis for the body and mind, and sharing that with others. As a professional actor and voice actor, I love bringing people joy and there’s so much joy in discovering the various ways that cannabis can positively impact people’s daily lives and assist in their overall quality of life. A recent NYC transplant and Broadway baby, I’m fully enjoying life in the PNW with my tuxedo cat, Navi. Cannabis has helped me in many ways, from overcoming muscle issues to getting a full night’s sleep. My mission as a Budtender is to help patients find the relief they need. I am also an Illustrator who enjoys drawing and painting out in nature. I’m originally from Austin, Texas but have been hanging out in Portland for 4 years now. I am a long time Cannabis lover, but new to the industry itself. In my free time I like to hang out with my friends, and camp in the mountains or go to the beach. I have a house bunny named Lou Reed, whose the coolest little creature you will ever meet. I’ve worked in the cannabis retail side of things since it became recreational in Oregon, and I’ve come to find that MindRite is the place to be. I’m beyond grateful that I was given the opportunity to be apart of this industry, filled with amazing people and the never-ending knowledge that comes with it. 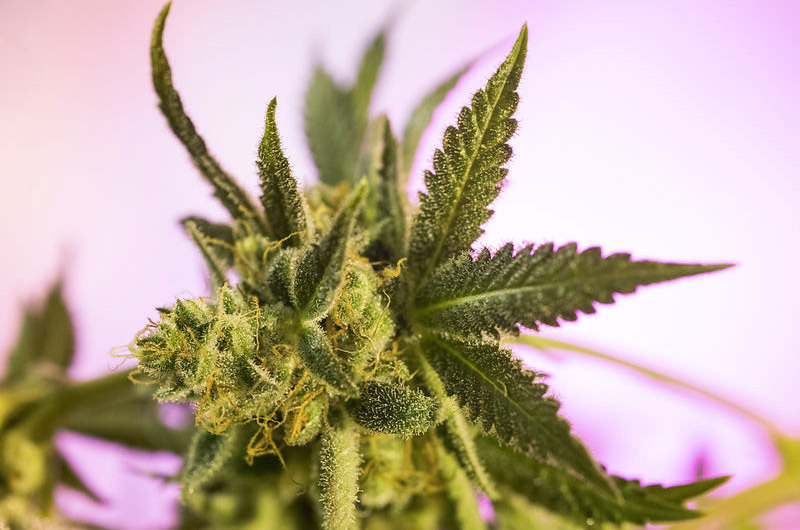 Cannabis has been a big part of my life medically and in recreational use, so I am very eager and pleased to guide you in finding exactly what you need. I’m born and raised in Oregon, and when I’m not selling cannabis I’m also a part-time Hairstylist. I love being in the outdoors but I also equally love smoking a blunt at home while playing video games. Hello beautiful people! A little about myself; born and raised in the front ranges of Colorado. I moved to Portland in 2016. Cannabis has always had an influence in my life. In the past, depression and anxiety were my ‘demons’. Through trial and error; I was able to find the motivation to get through the fogginess of depression. I was able to collect my thoughts through times of anxiety attacks and stay calm and collected. This opportunity to be a part of the MindRite family and the cannabis community means so much to me. For me it’s a chance to make my customers able to experience a rainbow during a rain cloud. This is the same experience that I received as a customer, which was never leaving without a smile. I love music, the outdoors, and my dog Poco! I’m originally from Oklahoma City, and they are not quite as progressive in their views, especially when it come to cannabis. It has been so amazing to see what cannabis is able to do for the community here in Portland. I have always had a passion for cannabis, so to be able to put that passion into a professional setting and to help so many people with their quality of life is a real treat for me. If you're ever in the Portland area be sure to stop by and check out MindRite, On 18th & Marshall In Portland Oregon! A FUN afternoon exploring the city and arriving at one of our favorite dispensaries here in Portland. Marijuana is legal here in Portland, so join us as we show you around. As seen on ABC's “What Would You Do with John Quinones", MindRite is not the place for persons under 21! 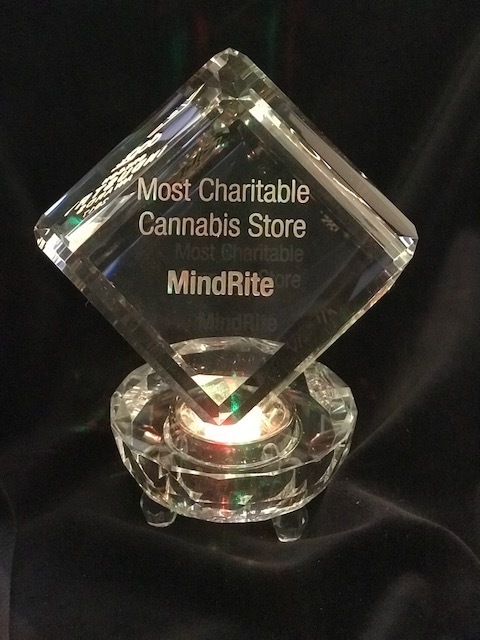 Dope Industry Awards: MindRite wins most charitable cannabis store and male budtender of the year, Rick Burby! 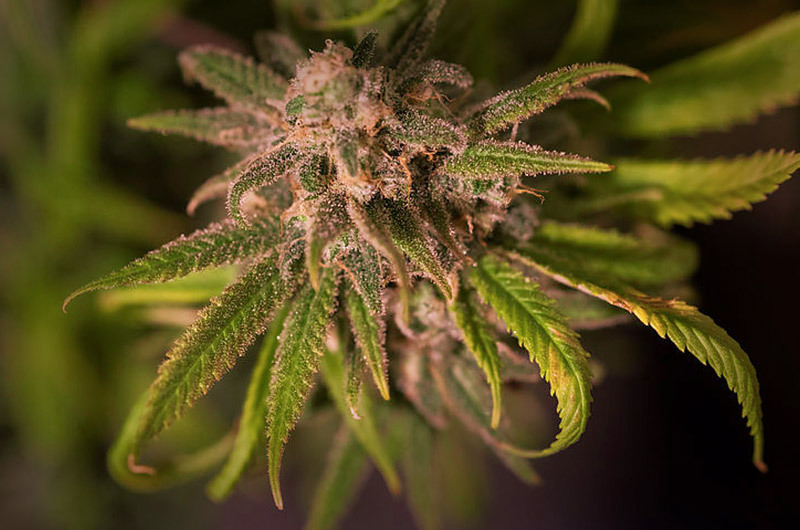 Willamette Week: MindRite is a low-key shop with outgoing budtenders and top-tier flower.